For best results, print with borderless print settings. But you can get away without doing so, too. Just for fun, we filled in the background of this American football colouring page so that the kids can concentrate colouring the important bits – the players! Just for fun, we've put our bridge and groom on top of a beautiful background of hearts - now it is up to the kids to colour them in! This very pretty coronation colouring card has one of our "colour pop" backgrounds, to make your completed flowers stand out. Dahlias appear at the end of summer / beginning of autumn, and their lovely colours and cheerful heads never fail please. This card is designed to capture just that feeling. We've coloured the background – you colour the flowers! Here is a pretty foxglove colouring card for you to print, colour and give. We've done the background in a gentle summer colour. Gladioli cheer up a summer flower bed – and receiving this card is bound to make anyone happy! It is in our popular "nature study" style, so perfect for older children or adults. And we've "colour popped" the background on this particular card. Just for fun, we've pre-coloured the background of this lovely Thanksgiving colouring page. It means that children can really go to town with the details! Fans of poppies love to receive a pretty colouring card like this one. Print it using your borderless settings, then simply fold in half and grab your pencils. How pretty is this gorgeous rose colour pop colouring card! We've filled in the background so that you can concentrate on colouring in the roses. You can almost smell them! Here's something slightly different - a colouring page with a fun pre-coloured background! Featuring our traditional Russian dancer doing a Cossack dance, it prints best on borderless settings (but you don't have to use them). Colour in this simple space shuttle, against a background of pretty stars! You can find a plain black and white version here, too, if you prefer. This fun space colouring page has a pre-coloured background which really makes the colouring picture pop out - and perhaps makes it less daunting and more fun for younger children! Print with your borderless settings if possible, although it's not absolutely necessary. Here's a colouring page with a difference for St Andrew's day. 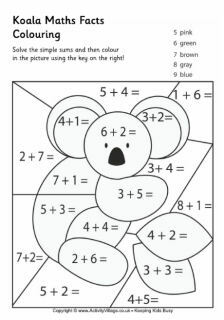 We've used the Scottish flag as a background on this colour pop colouring page, so when the children colour in the rest of the picture the details will really spring out of the page! These lovely colour pop colouring bookmarks would make a great gift for a friend or relative on St Andrew's Day. We've pre-coloured the background of each bookmark with the Scottish flag, so the kids just need to colour in the design. We've filled in the background of sunflower colouring card so that the kids can just concentrate on colouring in the flower itself. It makes a very pretty card to give in the summer months. Colour in this lovely Thanksgiving design, concentrating on all the interesting bits without having to worry about the background! We have a normal doodle version here too. This adorable chick colour pop colouring card folds twice to make a cute pocket-sized greeting card - perfect for sending to your Valentine! This Valentine's Day colouring card is a perfect compromise between one of the new-style "doodle" colouring activities for older kids (and grown-ups) - and the time it takes to colour in all the background! Your loved one is bound to be over the moon to receive this adorable kitten card on Valentine's Day!